Vodafone have recently released their new HD voice calling technology providing a higher calibre of sound and visual for Vodafone users. The advanced technology will help families and friends stay and feel connected as if they were in the same room together. In a bid to show the potential benefits of the new HD voice calling, Vodafone have released a series of mini adverts showcasing the advantages of their HD technology. In the above video, a grandfather can be seen hearing the news of the birth of his grandson and the clarity of the voice call allows both emotion and excitement to flood through to his son on the other end of the call. 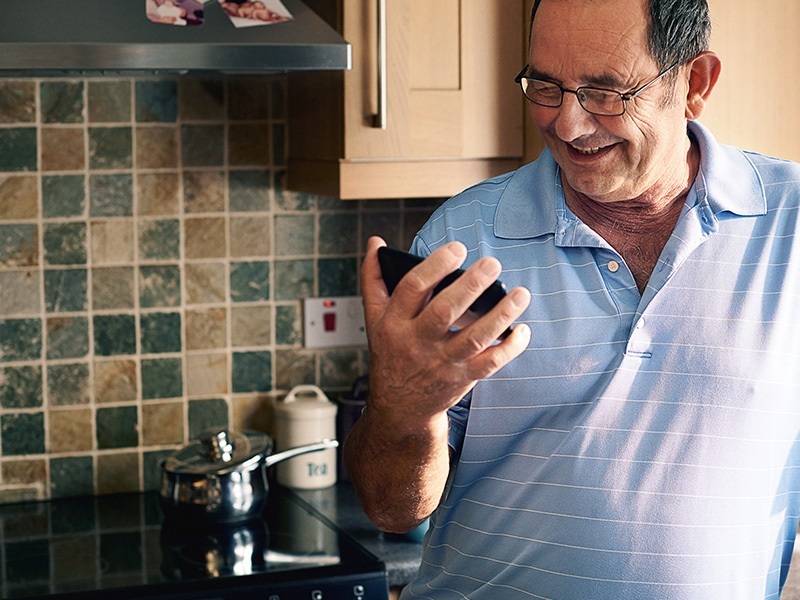 With the slogan, ‘Every Second Counts’, it’s clear that Vodafone are attempting to help people stay better connected with an ease that allows them to not miss out on those precious moments, even if they cannot be physically present within the room. All Vodafone 3G customers with compatible phones will benefit from the new HD voice calling technology and it is also available to those using the speedier 4G providing that they connect to a 3G network. Vodafone have made this latest addition to their network as part of their larger plan to become the dominant 4G network within the UK. Their commitment to sound and video quality might just be what it takes to give them that extra advantage over their competitors. One thing is for sure; the other networks will have to play catch-up in order to combat Vodafone’s HD voice calling technology as it is certain to be a huge hit with the public.